Among the array of healing Australian oils offered at Essential Oil Exchange, there is a little-known oil steam disilled from the leaves of Melaleuca quinquenervia. Niaouli essential oil doesn’t get much press, yet its antiseptic and anti-inflammatory properties rank up there with tea tree and eucalyptus oil, two of its more famous relatives. Niaouli oil is a clear to pale yellow-green mobile liquid with a fresh, camphoraceous odor reminiscent of eucalyptus. In aromatherapy it is most often used as an antiseptic and expectorant , especially in a blend with eucalyptus, tea tree, peppermint, pine, myrrh, and ravensara oils, all of which have phenomenal disinfectant and expectorant properties of their own and synergize powerfully with niaouli oil. Niaouli (nee-AH-oo-LEE) is an evergreen tree related to the tea tree (Melaleuca alternifolia), and is native to the former French Pacific Islands, New Caledonia, and Australia. The tree itself has a flexible trunk, spongy bark, and shiny pointed leaves that indigenous Australians used to make wound poultices, reduce fevers, and disinfect water holes by scattering the leaves into them. In fact, niaouli leaves are such an effective antiseptic that the leaves and oil were later used to disinfect obstetric wards in French hospitals . Botanists on Captain Cook’s 1788 voyage to the Pacific were the first to give niaouli its Latin name and classify it alongside the tea tree. Today, niaouli essential oil is still added to toothpastes and mouth sprays as a disinfectant, and its list of uses in aromatherapy is also growing apace. Because of its similar therapeutic properties, aromatherapists will sometimes substitute the gentler-scented niaouli oil for tea tree oil when working with clients who object to the medicinal odor of tea tree oil . Like eucalyptus, niaouli oil has anti-inflammatory and analgesic properties, and is often used in massage to treat rheumatism and arthritis . A topical niaouli oil blend can also be beneficial in fighting acne, boils, decongesting oily skin, and disinfecting minor cuts and wounds . However, where niaouli essential oil really shines is in treating respiratory infections and congestion. Niaouli oil works as an expectorant when it is inhaled from a diffuser or in a steam bath, and the oil’s antiviral, antiseptic, and decongestant properties have been used to treat the common cold, bronchitis, whooping cough, sinusitis, chest cough, and even tuberculosis . The cooling minty quality of niaouli oil can soothe a respiratory tract that has become irritated, while the aroma lifts fatigue and gives a much-needed boost to the immune system, especially in these trying winter months. 1. Duke, James A. 1983. “Melaleuca quinquenervia (Cav) ST Blake” in Handbook of Energy Crops. Purdue University. https://www.hort.purdue.edu/newcrop/duke_energy/Melaleuca_quinquenervia.html. 2. “Niaouli – Aromatherapy (Melaleuca viridiflora)”. Herbs2000. Accessed May 8th, 2014. http://www.herbs2000.com/aromatherapy/a_niaouli.htm. 3. “Niaouli Essential Oil Profile, Benefits and Uses.” AromaWeb. Accessed May 8th, 2014. http://www.aromaweb.com/essential-oils/niaouli-oil.asp. This entry was posted in Aromatherapy, Clinical Aromatherapy, Essential Oils and tagged antiseptic essential oil, antiviral essential oil on December 2, 2013 by Keith Cleversley. The warming, slightly camphoraceous scent of hyssop oil has been associated with rites of purification, cleansing and sanctification since Biblical times. In aromatherapy, hyssop essential oil has antiseptic, expectorant, and cough suppressant properties , and is often included in diffusion blends to chase away winter colds, sinus congestion, and feelings of melancholy. Hyssop essential oil is a colorless to pale yellow-green liquid that blend well with other herbaceous and floral oils such as angelica, clary sage, geranium, melissa, and rosemary. Hyssopus officinalis is a shrub native to the Middle East, Southern Europe, and Eastern Europe in the region around the Caspian Sea. It has lance-shaped leaves and produces bundles of blue, pink or white flowers during the summer. Hyssop was known to the Greeks in Classical Antiquity, and some scholars have suggested the word hyssop derives from the related Hebrew word esov or esob, which refers to a plant used in the Old Testament to purify temples and other sacred places. 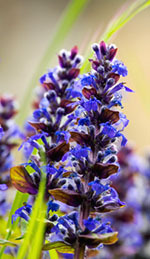 Hyssop also appears in the Bible as a treatment for leprosy. However, some scholars have argued that the hyssop of the Bible is actually a kind of thyme or marjoram, two other aromatic plants with similar antiseptic and cleansing properties. Whatever the ancient truth, hyssop remained popular as a strewing herb in medieval European churches because it drove away fleas, which carried plague, as well as lice and other pests. Inspired by this use, some Roman Catholic sects still interpret Hyssopus officinalis as the hyssop of the Bible and use the flowers and leaves to scent the water used in purifying rituals called aspersions. Fresh hyssop herb is also used in cooking, although sparingly because it has a strong minty taste with a slightly bitter edge due to the presence of tannins. Along with coriander seed, hyssop leaves are also a part of the complex and closely guarded recipe for Chartreuse liqueur, which makes use of over one hundred different aromatic plants! Bee keepers also sometimes raise bees on hyssop nectar to produce a richly aromatic honey . As a medicine, hyssop essential oil may be diffused to ease respiratory complaints such as congestion, cough, and asthma ; it is currently listed in the British Pharmacopoeia for addressing colds and bronchitis . In a massage, hyssop oil acts as a circulatory stimulant, making it helpful for reducing menstrual discomfort, healing bruises and sores, and managing the pain of rheumatism . The oil may also ease digestive complaints when applied to the abdomen . Hyssop essential oil should be avoided during pregnancy, and should not be given to children or people with epilepsy, kidney or liver disease , or high blood pressure , as hyssop oil can induce a mild increase in blood pressure. Use hyssop essential oil in dilution on the skin, or simply inhale the oil from a diffuser to quickly access its gentle, clarifying benefits. 1. “Hyssopus officinalis“. Wikipedia. Accessed May 10th, 2014. http://en.wikipedia.org/wiki/Hyssopus_officinalis. 2. Lawless, Julia. 2013. “Hyssopus officinalis” In: The Encyclopedia of Essential Oils: The Complete Guide to the Use of Aromatic Oils in Aromatherapy, Herbalism, Health, and Well-Being. Conari Press. 3 Grieve, M. “A Modern Herbal: Hyssop (Hyssopus officinalis)” Accessed May 14th, 2014. http://www.botanical.com/botanical/mgmh/h/hyssop48.html. 4. Millet Y, P Tognetti, M Lavaire-Perlovisi et al. 1979. “Experimental study of the toxic convulsant properties of commercial preparations of essences of sage and hyssop.” Rev. Electroencephalogr. Neurophysiol. Clin. 9: 8-12. This entry was posted in Aromatherapy, Essential Oils and tagged antiseptic essential oil, antiviral essential oil, circulatory stimulant on November 1, 2013 by Keith Cleversley. The little-known elemi essential oil is sometimes called “poor man’s frankincense” because of its similar aroma and list of uses in aromatherapy. But don’t let the name fool you: elemi oil may be more economical to produce because it comes from a fast-growing tropical tree, but it is in no way an inferior product. Elemi essential oil can be used in many of the same applications as frankincense oil. In fact, researchers now know that elemi (Canarium luzonicum) is related to both frankincense and myrrh, and the oil has similar antiseptic, skin tonic and anti-inflammatory actions . Elemi trees can grow up to 98 feet (30 meters) tall in their native Philippines, where the tree’s pale yellow resin is harvested to make a gum which is then distilled to produce elemi essential oil. Called pili in Tagalog, the elemi tree gets its English name from the Arabic word elemi, which means, roughly, “above and below”: a reference to the belief that elemi oil supports both physical and spiritual health . Elemi trees begin to produce resin after losing their leaves during the dry season, and the gum is then harvested in two commercial grades: primera, which has been cleaned of foliage and other residue before export from Manila; and secunda, a crude form of the gum which may contain leaf or twig residue. Archaeological records show that elemi was traded widely in the Mediterranean Middle East and made it as far west as Egypt, where the ancient Egyptians used the oil in embalming mixtures as a fixative. Elemi oil was also used in Europe as a skin tonic for reducing the appearance of fine lines and wrinkles. However, there was a lot of confusion in Europe about where exactly elemi oil came from: in the 17th and 18th centuries, the term elemi was freely applied to a number of resinous tree species, including the Icica genus native to Brazil and other members of the Boswellia genus, which includes the frankincense tree . These different species were grouped together because they all produce resinous gums that can be used in skin treatments and to treat infections, so people confused them with elemi oil. The root word of elemi is now thought to be enhaemon, the name of an unidentified medicine written about by Pliny that was supposedly derived from the resin of a kind of Arabian olive tree. Now of course, we know that true elemi essential oil comes from the Philippines. Besides its uses in aromatherapy, elemi oil is an ingredient in varnish, hand soaps, and incense blends. 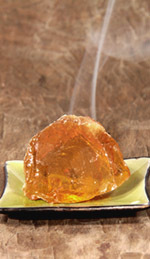 Therapeutically, elemi essential oil may be inhaled from a diffuser as an expectorant to treat congestion and sinusitis . Like its cousin frankincense, elemi oil can be a remarkable skin tonic when used in massages, reducing the appearance of scars, bringing relief to irritated, infected, or inflamed skin, and revitalizing mature skin . Its anti-inflammatory actions can be beneficial for treating nerve pain, sore joints, and muscle soreness . Elemi essential oil’s warm aroma is emotionally uplifting and stimulating, good for relieving feelings of stress, mental exhaustion and tiredness . 1. “Elemi Essential Oil”. Quinessence Aromatherapy. 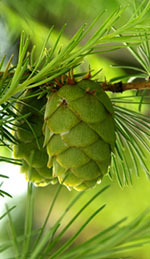 Accessed May 20th, 2014. http://www.quinessence.com/blog/elemi-essential-oil. 2. “Canarium luzonicum” Wikipedia. Accessed May 15th, 2014. http://en.wikipedia.org/wiki/Canarium_luzonicum. 3. “What Is Elemi?” WiseGEEK: Clear Answers for Common Questions. Accessed May 20th, 2014. http://www.wisegeek.com/what-is-elemi.htm. 4. Wilson, Roberta. 2002. Aromatherapy: Essential Oils for Vibrant Health and Beauty. Penguin Books: 67-68. This entry was posted in Aromatherapy, Essential Oils and tagged antiseptic essential oil on October 22, 2013 by Keith Cleversley. Say camphor oil and many people have visions of mothballs stuffed in a musty old closet somewhere. It’s true that camphor was a prime ingredient in repellents used to protect textiles from being eaten by moths, but the smell of our distilled white camphor essential oil is much subtler, with a strong mentholic top note and just a hint of the medicinal about it. In aromatherapy, pure camphor essential oil is used as a topical analgesic for sore muscles and joints , a general antiseptic , and an expectorant that can open respiratory passages and clear congestion . Native to the East Asian countries of China, Japan and Taiwan , the camphor tree (Cinnamonum camphora) can grow up to 100 feet (35 meters) tall and has been used for medicinal and construction purposes for hundreds of years. The pungent camphor essential oil is extracted from the chipped wood, branches and stumps of the tree and then further fractionated to yield white, yellow, and brown camphor. The yellow and brown oil fractions can contain between 10% and 80% safrole, a toxic and carcinogenic compound, so they are never used in aromatherapy. Historically, camphor oil was employed as a treatment for plague and an embalming ingredient in ancient Persia ; camphor wood’s durability and insect repellent properties also made it a natural building material for Chinese temples and sailing ships. White camphor essential oil contains no safrole and is used in a variety of aromatherapy applications today. It is most well known as the primary ingredient of Chinese Tiger Balm, a salve used to treat sore muscles and sprains. The essential oil is used in dilution as a topical anaesthetic for muscle soreness and joint pain . 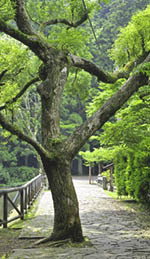 Camphor essential oil may produce skin sensitization, so it should always be diluted in a carrier oil, lotion, or salve. Depending on the chemotype, camphor essential oil can contain high levels of the compound camphor, a cooling compound similar to the menthol in peppermint oil. Camphor has expectorant and numbing analgesic properties . Linalool, another component of camphor oil , has been studied for its potential stress-relieving properties in rats and is a major component of lavender oil . The sharp, medicinal-minty smell of camphor oil can increase feelings of alertness and sensitivity to one’s surroundings—give yourself a whiff whenever you’re feeling tired or groggy and feel your senses stand to attention. 1. “Camphor: Uses, Side Effects, Interactions, and Warnings”. WebMD. Accessed May 22nd, 2014. http://www.webmd.com/vitamins-supplements/ingredientmono-709-CAMPHOR.aspx?activeIngredientId=709&activeIngredientName=CAMPHOR&source=0. 2. “Camphor-Medicinal Uses”. Wikipedia. 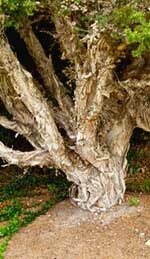 Accessed May 22nd, 2014. http://en.wikipedia.org/wiki/Camphor#Medicinal. 3. “Cinnamomum camphora“. Wikipedia. Accessed May 22nd, 2014. http://en.wikipedia.org/wiki/Cinnamomum_camphora. 4. Gentry, Pamela. “Camphor Essential Oil Uses and Benefits”. Accessed May 22nd, 2014. http://www.ehow.com/way_5459333_camphor-essential-oil-uses-benefits.html. 5. Frizzo, Caren D, Ana C Santos, Natalia Paroul, Luciana A Serafini, Eduardo Dellacassa, Daniel Lorenzo, and Patrick Moyna. October 1st, 1999. “Essential Oils of Camphor Tree (Cinnamomum camphora Nees & Eberm) Cultivated in Southern Brazil”. Brazilian Archives of Biology and Technology 43: 313-16. 6. Nakamura, Akio, Satoshi Fujiwara, Ichiro Matsumoto and Keiko Abe. 2009. “Stress Repression in Restrained Rats by (R)-(-)-Linalool Inhalation and Gene Expression Profiling of Their Whole Blood Cells”. Journal of Agricultural and Food Chemistry 57 (12): 5480-85. This entry was posted in Aromatherapy, Essential Oils and tagged antiseptic essential oil, pain relief essential oil on October 9, 2013 by Keith Cleversley. The blood orange is a varietal of the classic sweet orange, Citrus sinensis; the blood orange produces an even richer oil with a scent some have called “oranger than orange”! Both the dark red pigmentation and antioxidant properties of blood orange essential oil come from the presence of anthocyanins, antioxidant pigments normally found in dark berries and other purple or red fruits such as pomegranates . Blood oranges are now widely thought to be a mutation of the sweet orange. This is based on the discovery that all oranges have the gene to make anthocyanins, but only blood oranges have this gene activated . Since at least the 18th century, blood oranges have been cultivated in Italy and China, and they’re now the main type of orange grown in Italy. In the U.S., both California and Texas grow blood oranges commercially. The anthocyanin pigmentation only develops when the oranges are grown in a Mediterranean climate where the nights get cold during the fall and winter months . As with other citrus fruits, blood orange essential oil is extracted by cold pressing the rind of the fruit. Blood orange oil is mainly used as a mild anti-depressant and aphrodisiac : its fresh, rich citrus scent elevates the mood and stabilizes the emotions, and may have a warming effect on the body. Similar to bergamot oil in its uses and effects, the smell of blood orange oil can calm the nerves and ground the psyche; it also adds body to many citrus-based blends and perfumes. When using blood orange oil on the skin, be sure to wait 24 hours before sun exposure to avoid photosensitization . Blood orange essential oil is unique among citrus oils for its concentration of anthocyanins, which otherwise don’t occur in citrus fruits. Due to its high acid content, blood orange oil can also be used as a household cleanser and antiseptic , but we imagine you’ll want to hoard every drop of this refreshing oil to buoy your spirits and reset your senses whenever you need a pick-me-up! 1. “Blood Orange”. Wikipedia. Last modified April 27th, 2014. http://en.wikipedia.org/wiki/Blood_orange. 2. Butelli, E, C Licciardello, Y Zhang, J Liu, S Mackay, P Bailey, G Reforgiato-Recupero, and C Martin. 2012. “Retrotransposons control fruit-specific, cold-dependent accumulation of anthocyanins in blood oranges. The Plant Cell 10: 1-14. 3. Gupta, Chadra Sekhar. “Blood Orange Perfume Ingredient”. Fragrantica. 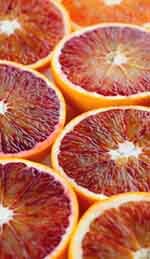 Accessed June 19th, 2014. http://www.fragrantica.com/notes/Blood-Orange-286.html. 4. “Safety Information – Dermal Safety”. National Association for Holistic Aromatherapy. Accessed June 7th, 2014. http://www.naha.org/explore-aromatherapy/safety/#dermal. 5. Dabbah, Roger, VM Edwards, and WA Moats. January 1970. “Antimicrobial Action of Citrus Fruit Oils on Selected Food-Borne Bacteria”. Applied Microbiology 19 (1): 27-31. This entry was posted in Aromatherapy, Essential Oils and tagged antiseptic essential oil on August 9, 2013 by Keith Cleversley. Our pure lemon essential oil is cold pressed from the rind of Citrus limon, the classic lemon used to make delicacies such as lemonade and lemon meringue. Since ancient times, lemons have had a multiplicity of uses. The uplifting properties of lemon essential oil were known in the Middle East since Biblical times, and in Italy since the era of imperial Rome. A small evergreen tree that’s probably native to Southeast Asia and China, the lemon produces a distinctive oval-shaped fruit with a bright yellow rind and flesh. Due to its high citric acid content, lemon juice is very sour and makes an excellent preservative for foods such as sliced fruits and vegetables. Lemon juice denatures the enzymes that cause cut fruits such as apples to brown, so a coat of lemon juice makes a great cosmetic preservative. The juice is also used to tenderize meat and fish. Lemon pulp and zest, or grated peel, also feature widely in cooking and baking, to add zing to both sweet and savory dishes. The lemon’s usefulness extends far beyond the kitchen: the juice of a fresh-squeezed lemon may be one of the oldest cleansing substances that has remained in continuous use, with the ability to remove grime, fingerprints, and stains from almost any surface. Lemon oil and juice are also powerfully disinfecting  and can eliminate household odors as tenacious as cigarette smoke and curry smells. Sailors in the pre-modern era were also given lemon juice, which is high in vitamin C, to prevent the devastating effects of scurvy . Most people naturally gravitate to the invigorating smell of pure lemon essential oil—like its cousin bergamot oil, the bergaptene content of lemon oil can provide a natural mood lift and improve mental concentration when it’s inhaled . Some Japanese banks have taken to diffusing lemon oil to improve worker concentration and decrease typing errors . The stimulating sour undertones of lemon oil act as a gastric stimulant, improving appetite and digestion , while the oil’s astringent qualities can be a boon for balancing oily skin and treating blemishes . Like most essential oils, you should always dilute lemon oil and do a small patch test on your inner arm or wrist before applying it to your skin. Additionally, lemon essential can produce skin sensitization or irritation when exposed to sunlight, so make sure to always wait at least 24 hours before sun exposure after applying lemon oil . Lemon essential oil has left its mark on aromatherapy as a natural antiseptic and astringent, with an energizing scent that will have you picturing the sun-drenched lemon groves of Italy whenever you smell it! 1. “Health Benefits of Lemon Oil”. Organic Facts. Accessed June 30th, 2014. http://www.organicfacts.net/organic-oils/natural-essential-oils/health-benefits-of-lemon-oil.html. 2. “Lemon”. Wikipedia. Last modified June 9th, 2014. http://en.wikipedia.org/wiki/Lemon. 3. “Uses of Lemon”. Balance Spa Boca. Accessed June 30th, 2014. http://balancespaboca.com/part-4-uses-lemon/. 4. Boling, Janice. 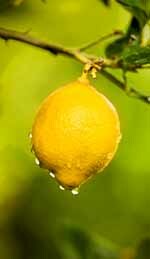 “Lemons and Lemon Essential Oil in Herbal Medicine”. Every Green Herb. Accessed June 30th, 2014. http://www.everygreenherb.com/lemon.html. 5. “Essential Oils for Skin”. The Dermatology Review. Accessed June 27th, 2014. http://www.thedermreview.com/essential-oils-for-skin/. This entry was posted in Aromatherapy, Essential Oils and tagged antiseptic essential oil on June 10, 2013 by Keith Cleversley. Ancient texts list cinnamon as an important ingredient in incense and in perfume making over 4,000 years ago. The Egyptians used it every day thanks to its irresistible aroma and taste. The Hebrew Bible mentions cinnamon several times. Moses said the oil should be used in the holy anointing, and the Book of Proverbs mentions it as a perfume for a lover’s bed. 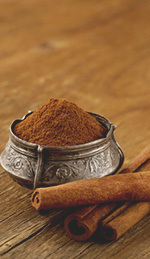 Cinnamon was also a component in Hebrew incense (Ketoret), and it was described in the Hebrew Talmud as Haketoret. Cinnamon bark oil has always been a highly prized gift; it was given to monarchs and even gods like Apollo to express appreciation. Middlemen kept the source of cinnamon a secret in the Mediterranean region back in the early days because spice trading from Asia was so lucrative. They wanted to protect their monopoly at all costs, and that strategy worked for years until the versatility of the oil continued to expand. Cinnamon is native to Sri Lanka, but Vietnam, India, and Madagascar also cultivated cinnamon and steam distilled the inner bark to produce the essential oil. The Dutch gained full control of the cinnamon business in Sri Lanka in the late 18th century, but by that time other countries were cultivating the trees so the monopoly that existed for years was rapidly dissolving. Sri Lanka still produces 90% of the world’s cinnamon. China, India, and Vietnam also produce substantial amounts of the spice, but the species are different, which means there is a distinct difference in quality when the bark of those trees is steam distilled. The aromatherapy properties of cinnamon oil are well documented. Those properties include antiseptic, antispasmodic, anti-inflammatory, astringent, digestive, carminative, and stimulant effects. The oil blends well with other essential oils like bergamot, benzoin, clove, cardamom, frankincense, grapefruit, ginger, lemon, marjoram, mandarin, nutmeg, orange, Peru balsam, peppermint, rose, petitgrain, and vanilla. The effects of cinnamon bark oil as an antiseptic have been overshadowed in recent years by other uses, like covering the disagreeable aroma of other oils as well as for relieving stomach cramps and other digestive issues. Essential cinnamon oil has powerful antioxidant qualities as well as important antimicrobial properties, so the antiseptic uses for the oil continue to amaze people who have not been exposed to any sort of aromatherapy treatments. Recent research suggests that cinnamon oil impacts cell activity, and an anti-melanoma response results at the cellular level. More research is needed to support recent findings, but the preliminary results suggest cinnamon may provide a chemopreventive factor in colorectal carcinogenesis. The oil from Chinese cinnamon is also playing a part in the treatment of type 2 diabetes. Cinnamon essential oil continues to help alleviate human issues like bad breath, common cold prevention, and an assortment of antiseptic and antimicrobial issues. This entry was posted in Essential Oils and tagged antiseptic essential oil on June 10, 2012 by Keith Cleversley. Thyme oil has a long and fascinating history of use. The Egyptians would never have been able to embalm their departed loved ones so successfully if it weren’t for thyme oil. The early Romans identified thyme oil as a medicinal as well as a culinary oil. Italy is still famous for its many delicious foods featuring thyme, and the locals still use the oil to cure stomach issues, wounds, and insomnia. The Greeks liked the smell in perfume so they named the plant ‘thymos,’ which means ‘to perfume.’ In fact all the ancient societies that enjoyed the beauty of the Mediterranean region grew thyme to heal an assortment of skin, stomach, and circulation problems. These ancient cultures learned early on that thyme could be blended with rosemary, oregano, cedarwood, black pepper, eucalyptus, juniper, bergamot, lemon, lavender, marjoram, grapefruit, pine, peru balsam, tea tree, and peppermint oil. Using such combinations, most of the mental and physical issues that impede quality of life may be healed, cured, or relieve with a homemade concoction of oils. During the Middle Ages thyme oil was given to jousting knights for courage, and wreaths of thyme were placed around rooms to fight infections and diseases. The world fell in love with thyme essential oil such a long time ago that it is not surprising that the plant is so widely cultivated. Spain is still the main supplier, but Portugal, France, Greece, Israel, and the Western part of the US produce a large amount of thyme oil as well. The name red thyme comes from the reddish-brown to amber color of the oil. The rich chemical components are thymol, linalool, camphene, a-thujone, a-pinene, b-pinene, p-cymene, a-terpinene, b-caryophyllene and borneol. The therapeutic properties are antiseptic, antispasmodic, carminative, bactericidal, cardiac, cicatrisant, diuretic, expectorant, insecticide, stimulant, emmenagogue, vermifuge, hypertensive, and tonic, so the oil relieves a long list of unwanted health issues when it’s used in aromatherapy. The caryophyllene and camphene compounds in the oil provide its antiseptic qualities. It has thus been used around the world for years to keep sores and wounds from getting infected. 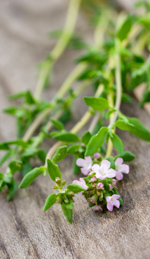 Thyme oil still holds its place as an effective aromatherapy treatment for heart, stomach, and circulatory issues as well as for preventing infections resulting from animal bites and insect stings, plus it kills intestinal worms and hook worms. This entry was posted in Essential Oils and tagged antiseptic essential oil on January 13, 2011 by Keith Cleversley.